Among other occasions, Valentines Day is one of the occasions that many business owners come out with different ideas to attract patrons. 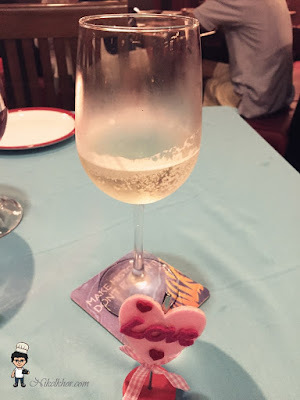 By having a decent valentine meals to getting your loved ones a bouquet of flowers of a memorable gift, most of us have contributed to the business of restaurants, florists, jewelry shops and etc. 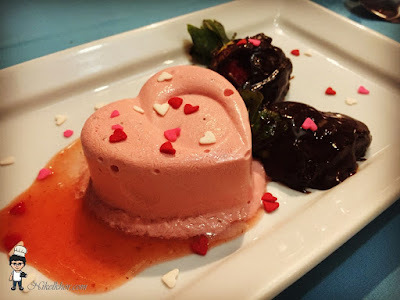 We have checked few restaurants' valentine special menu and although every restaurants offered creative and competitive menu, we have made booking at TGI Fridays, a choice with quality guaranteed. Started our meal with a wine. Sauvignon Blanc origin from Chile for her. 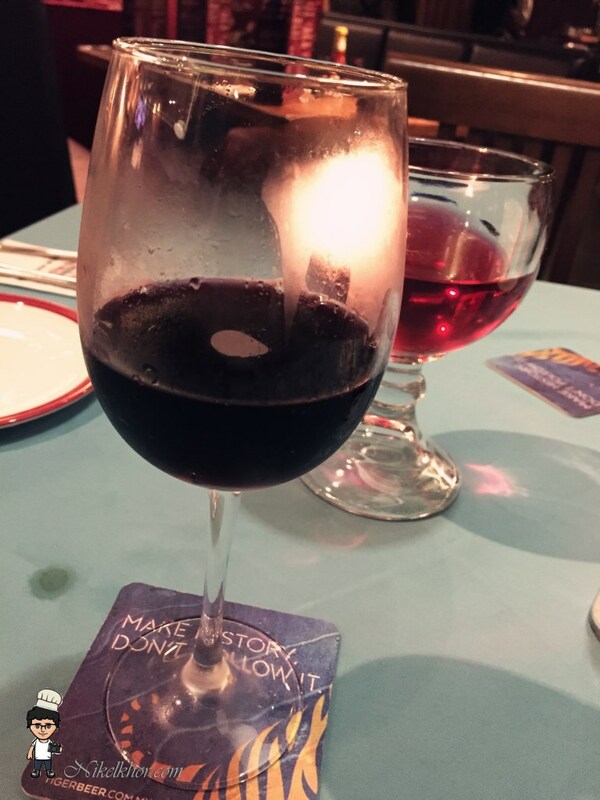 It tastes light and smooth, the fruity sweetness is definitely ladies' favourite. Carbernet Sauvignon origin from Chile for myself. I have chosen this to match with my main course. A valentine meal consists of starter, 2 main course and a dessert. 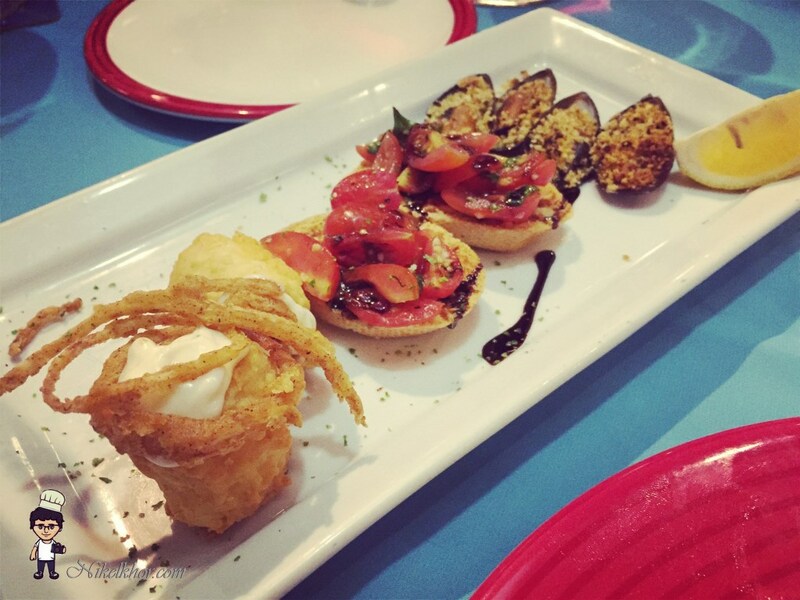 A trio platter of Baked Mussels with anchovies crumbs & Jack cheese, Chicken French Rolls and Garlic & Basil Bruschetta. We were hungry and hence it was finished in less than 5 minutes, simple yet appetizing. A thick, flavourful aged 7oz Strip Steak, seared and char grilled to ideal tenderness. Served with seasonal vegetables, mashed potatoes and Tennessee sauce. 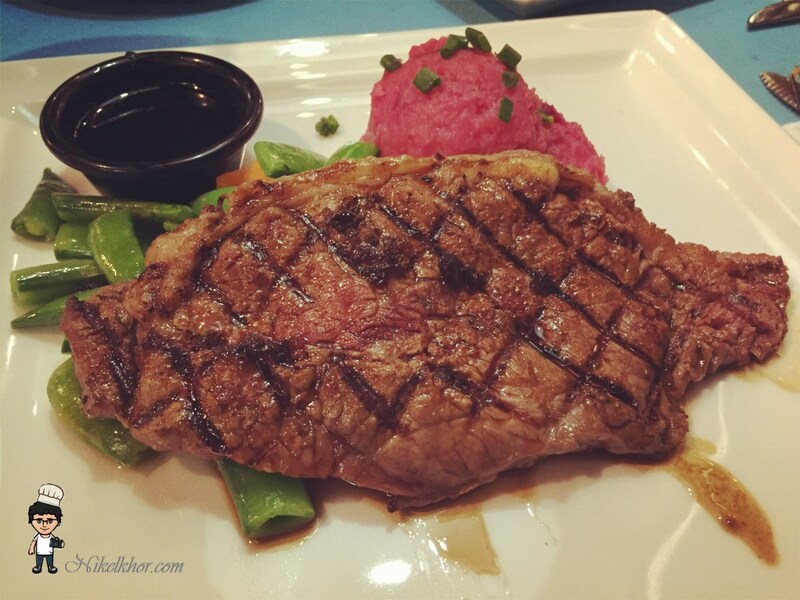 The steak is grilled to its perfection, tender and juicy. I was surprised with the pinkish mashed potato as well, perhaps sweet potato was used, the natural sweetness complemented and neutralised the meat dish very well. Salmon fillet topped with homemade herb butter, served with coconut rice and roasted vegetables. It is rather a large portion for lady, especially with the serving of rice. 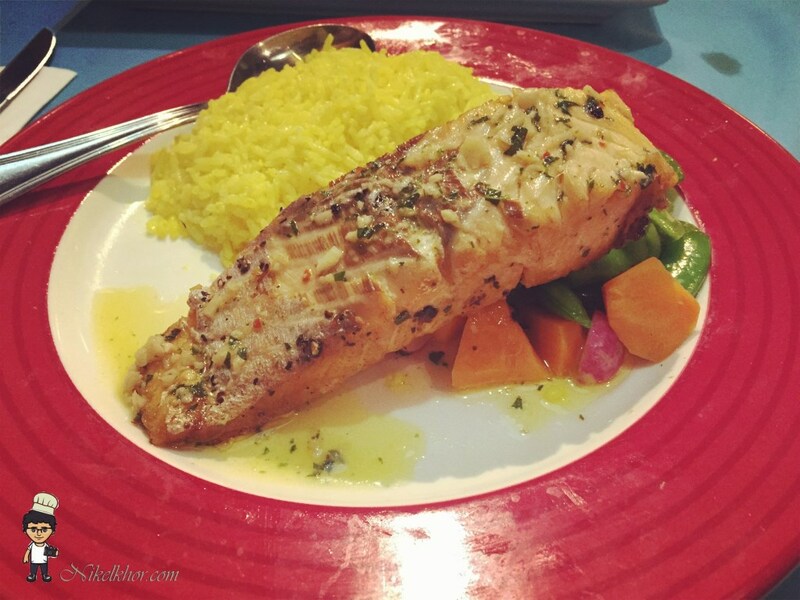 The grilled salmon is bedded with blanched vegetables and paired with the coconut rice, a very colourful dish indeed. Ended our dinner with a heart shaped strawberry gelato served with a chocolate droplet and strawberry dip. I would say this is a very good and appropriate dessert, the fruity ice cream is very refreshing and wash down the heaviness after an abundant dinner.